PDF is a popular format of document sharing. General perception about PDF files is that one cannot edit it. However, this is not true and there are lots of software and apps that lets you edit PDF files. If you want to edit PDF files on your Android Phone, you can use PDF Editor Apps. There are lots of good PDF editor apps for Android. If you are not sure what PDF editor to use, you can check this list of best PDF editors for Android. If you think about PDF, adobe is the name that comes in the mind first. Adobe Fill and Sign is the app from Adobe and it helps a lot. Adobe Fill and Sign has been created for filling a PDF form or signing it using digital signature. This app lets you scan, fill, and sign the documents with just a few taps. Yes, the app supports scanning of documents. SO, you can scan a physical document with your mobile phone and fill it. You can change the font size as well. You can also use magnifying glass to tap on any specific item effectively. The app is free and has no ads or in-app purchase option. Xodo is an all-in-one PDF reader and editor app for Android. You can use this to view PDF files, edit, sign and share. It can also sync your PDF files from Google Drive, Dropbox and OneDrive. Xodo has a ton of features including PDF bookmarks, multiview support for Samsung devices, reflow, annotations and more. It supports MS Office files as well. You can draw directly on PDF file, highlight text, add shapes, rotate, Merge and split PDFs. It is also optimised for SPen or other selected styluses. You can also use the camera to scan a page or open an existing image to create a new PDF file. Foxit MobilePDF is another good PDR editor and reader app. The app comes with easy to use UK and even allows you to view, annotate, and protect PDF files on Android devices. You can annotate, stamp and sign PDF document. The reason I am putting it on third because it lacks support for adobe accounts collaboration and lacks text color customizations like Zodo. But other things are good. This app is from Kdan and earlier the name was Kdan PDF reader. You can use this to read, annotate, and edit PDF files. Not just local PDF files, you can even scan documents and edit it just like any other PDF file. It comes with easy to use UI and supports fast document rendering, freehand writing, insert hyperlinks, import, and export PDF documents. The app is free and contains ads. You can remove ads if you buy subscription. PDFelement is the free PDF reader and editor app by popular software company Wondershare. 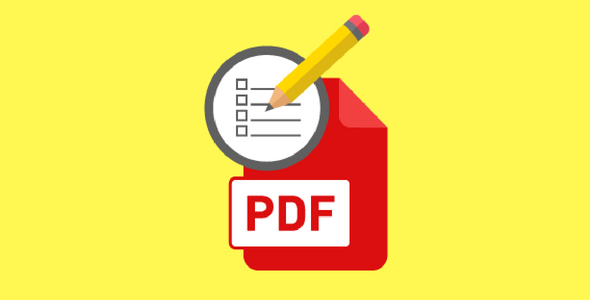 PDFelement is a good PDF annotation tool with good features. It is beginner friendly and works fine. You can highlight, underline, and strikethrough text, markup specific sections, add call out, draw shapes and more. So, you should also add PDFElement in your app list if you want a good PDF annotation tool. This app is free with no ads or in-app purchases. I recommend Xodo as it offers good features. You can also take a look on other apps. So, now you have a list of best PDF editor apps for Android. PED editor apps are useful and sooner or later you will be needing this. You do not need to download all, but download one that works fine for you. What PDF editor app do you use? DO not forget to share the name with us in comments section.